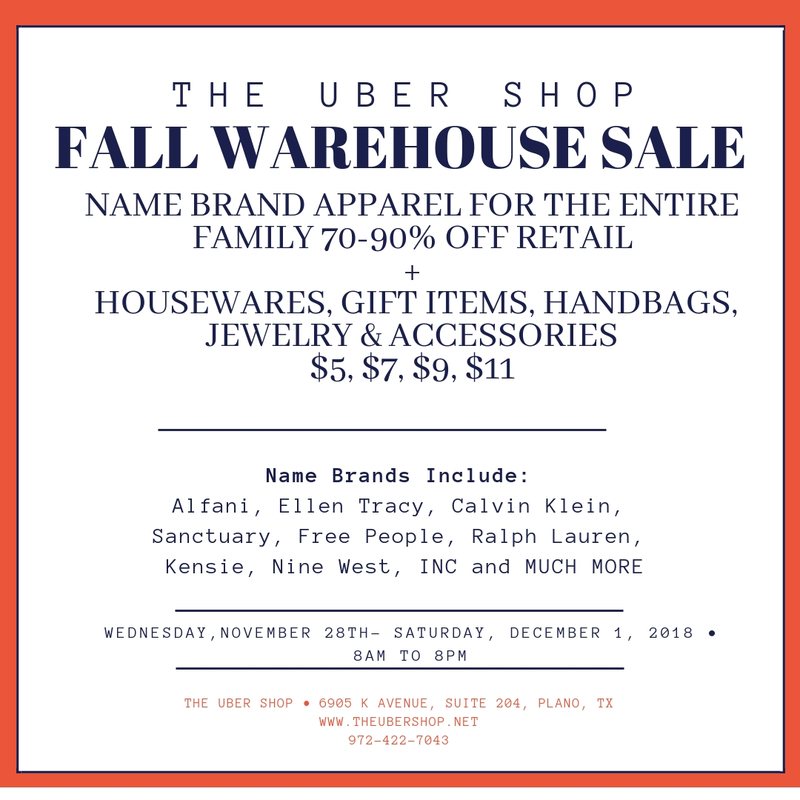 The Uber Shop Fall Warehouse Sale is the shopping event of the season. This event happens only twice a year, once in the spring featuring spring/ summer merchandise and then again in the fall with fall/ winter merchandise. All of the products featured at the sale are name brand products that are 70-90% off retail. Product categories include apparel for the ENTIRE family, accessories, home goods, linens, jewelry and much more. The sale will take place Wednesday, November 28th to Saturday, December 1st 8am to 8pm daily. THOUGH for loyal customers of The Uber Shop, you can shop the store prior to the event or follow The Uber Shop Facebook/ Instagram pages on social media for a chance to win a covenanted pass to a pre-sale that is offered for TOP store shoppers.